PSA 224 Valkyrie & BCG Combo Package: The PSA 224 Valkyrie barrel was created with a 416R Stainless Steel with a 1:7 twist rate for optimal accuracy over long distances. Cycling reliability is achieved with a rifle length gas system. The bolt carrier group is a full-auto profile, nitrided BCG with a 9310 bolt. The side of the carrier has been marked with the PSA Cross Cannons logo and 224 Valkyrie. Does the chamber in this barrel meet the published SAAMI specs for 224 valkyrie or is it a barrel with the pre SAAMI spec release chamber? This is a question for PSA. Call or email them and ask. Will this barrel and bcg fit any manufacturers upper? Is this an FN barrel? BEST ANSWER: No. The barrel is most likely made by PSA. This is why they are able to offer it at such a low price. Google search "PSA Our Story" and watch the video. PSA now makes most of their own AR components. Thanks. Looks like DC barrels. I saw someone received an fn barrel in another item this year so I wasn’t sure. What magazine is used in ar-15 with 224 Valkyrie? BEST ANSWER: You'll want to pick up a magazine for 6.8 SPC which is the original basis for the Valkyrie cartridge. BEST ANSWER: As long as the upper is mil-spec there should be no fitment issues. Assuming you have the right tools, you could swap the barrel, bolt, and brake in any mil spec AR-15 upper and the only other thing you will need it 6.8 SPC II magazines. I finished breaking in the .224 Valkyrie barrel, seems to work fine on a 25 yd indoor range, haven' had a chance to get it out to a longer range yet. 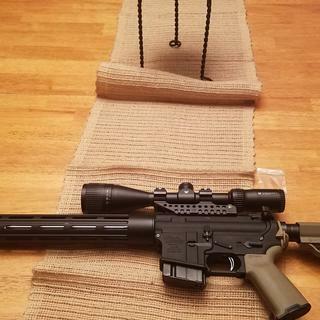 GOOD QUALITY, FAST FREE SHIPPING, ALL AS EXPECTED FROM PALMETTO STATE ARMORY. JUST WAITING FOR RANGE TIME TO TEST THE FINAL PRODUCT. When assembling this .224 combo Into a upper I used a gas piston kit to make what I am assuming to be one of the first gas piston .224 valkyrie ar 15 uppers made. Also it works just fine. It looks good and well made I am happy with it. Valkyrie really should have a 20" barrel or better, but this one is performing great, so far. 2705fps average and 1 moa at 100 yards with cheapest factory ammo (American Eagle 75gr). Starting hand loads with the brass, will see how they do. Won't stabilize 90gr, not with a 1/7 twist, but that was expected. No malfunctions. Happy with purchase, it's a great deal. Get an adjustable gas block, for sure, and a heavier buffer helps, too. I'm running 3.8oz equivalent, captured spring. 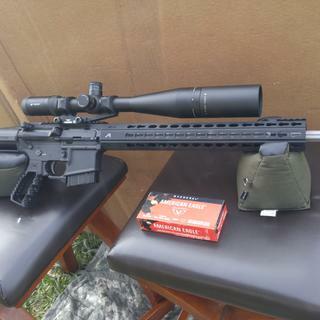 I was on the fence regarding the 224 valkyrie but after buying this deal at PSA I built a very nice rifle with hyperfire trigger, daniel defense furniture, and mega arms nib matched upper and lower billet receivers. Great deal and it is a shooter. Still playing with loads and bullets but this is a keeper. Thanks PSA for another great deal. Sub MOA with 90 grain Federal ammo.